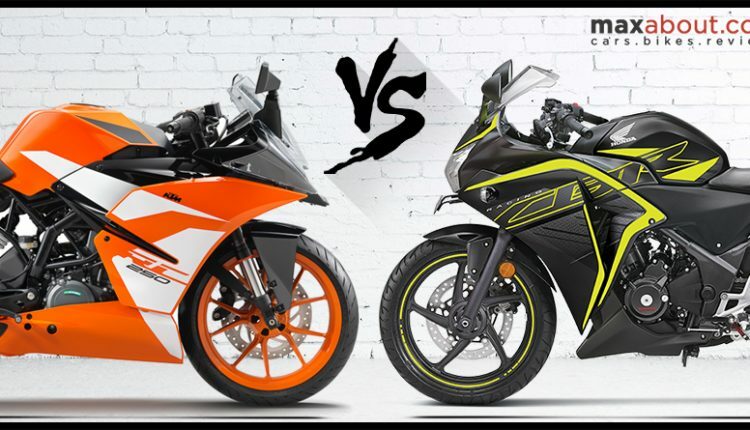 KTM RC 250 vs Honda CBR250R: At present, the 250cc CBR is available in India for INR 1.65 lakh for the standard variant and INR 1.95 lakh for the ABS equipped model. Both prices are ex-showroom Delhi. 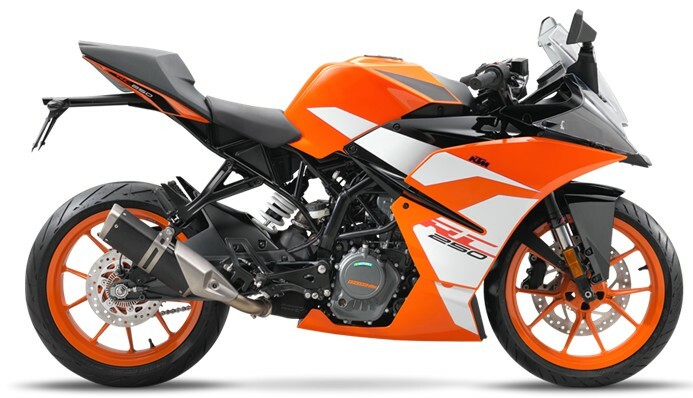 As no other 250cc bike with similar performance figures is available in India, KTM could be the first direct rival to CBR250R through its quarter-litre RC 250. 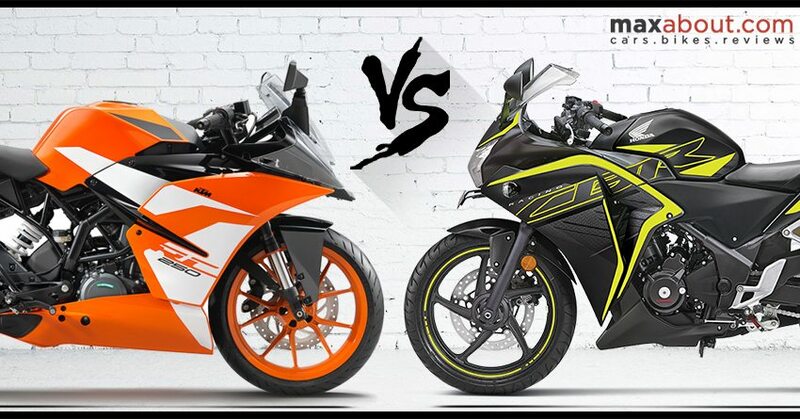 Loaded with speed and carrying a similar stance to RC 200, the motorcycle can serve as a direct rival to the ABS-equipped model of CBR250R. KTM RC 200 is priced at INR 1.79 lakh and thus, getting an ABS equipped KTM RC 250 for around INR 2.15 lakh can be a reality one day. 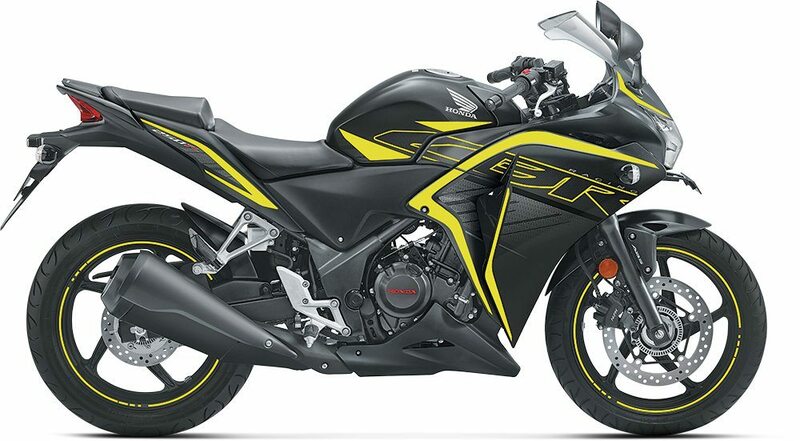 Honda CBR250R is powered by a 249.6cc, single cylinder engine producing 26.5 HP at 8500 rpm and 22.9 Nm at 7000 rpm. The engine comes mated to a 6-speed gearbox. The motorcycle features LED headlight and 0-100 kmph sprint time of just 8.9 seconds. Honda has mentioned 135 kmph as the top speed for CBR250R on its official website, though in the real world it can easily touch 145-150 kmph. The ABS model uses Nissin brake callipers and comes equipped with conventional front telescopic forks. KTM RC 250, on the other hand, uses the same engine as Duke 250, producing 31 HP at 9000 rpm and 24 Nm at 7500 rpm. The motorcycle claims a top speed of around 165 kmph. KTM offer USD forks, projector headlights and full digital instrument console with this package. They can launch their quarter-litre racer anytime in India as production for the South Asian market is managed by their India-based facility. More and more manufacturers are moving into higher displacement motorcycles to meet the rising need. CBR250R comes with 110/70 and 140/70 tyres while RC 250 will offer similar front but a slightly bigger 150/60 rear tyre.